Itemis-uofa-violet-28 - Violet Archer composing music with a piano. Itemis-uofa-violet-29 - Violet Archer at the piano. Itemis-uofa-violet-30 - Violet Archer composing at the piano. Itemis-uofa-violet-31 - Violet Archer composing music at her piano. Itemis-uofa-violet-33 - Violet Archer writing a musical score. Item is-uofa-violet-30 - Violet Archer composing at the piano. 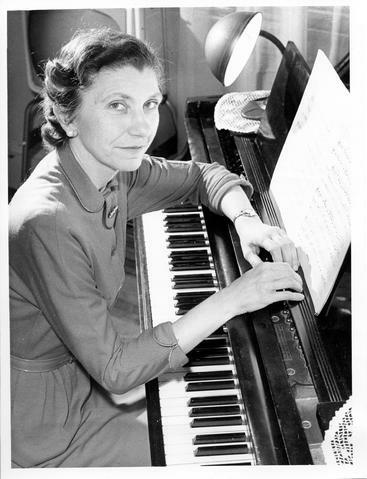 Violet Archer composing at the piano.